I have just seen this article on WFAA ” Stephenville residents report more UFO sightings ” which includes a video report. “ Over a three-month period this summer there were 1,000 UFO sightings filed with the National UFO Reporting Center. Stephenville is one hot spot we’ve shown you before. Now the small town is getting buzzed by UFOs again and we have the video ” (extract from article). Also at stephenvilleufos.com ” more lights spotted in stephenville skies ” (posted 24th october, 2008. If anything signifigant develops, i will post it on here. ” Dozens of Stephenville and Erath County residents have reported unidentified lights in the Texas sky this week. Recent accounts started coming in Tuesday, Oct. 21. More sitings were reported Wednesday night and a stadium full of parents watching a Junior High Football game spotted more strange lights Thursday night. Many witnesses reported seeing the lights and then watched jets chase after them. Local residents made headlines nine months ago after reporting unidentified flying objects in the southeastern county skies“. Lets hope the reporter does not lose her job as well, if anything more comes of this. ” Dozens of Stephenville and Erath County residents reported seeing unidentified lights in the Texas sky last week. Accounts started trickling in on Tuesday. But on Friday, they poured in, with dozens of people claiming to see unexplainable lights across the area Thursday night. Erath County Sheriff Tommy Bryant said dispatch received multiple calls from people claiming to see bright lights in the southern part of the county Thursday. Callers reported that the lights would flash and disappear, then reappear a short time later.Charlie Carrasco, who lives in Stephenville, said he saw two fighter jets flying low to the ground around 8:30 p.m. Thursday, chasing flashes of light in the air. Darlene Ross, who lives south of Ranger, noticed two orange lights in the sky about 8:45 p.m. Thursday. The two lights turned into four lights in a straight line, one stacked on top of the other. Nick’s four-year-old brother Matthew was so excited that he tripped over a rock and bumped his head on the sidewalk. “At first I thought it was my lights reflecting off the power lines,” Darby said. “If it were my speculation, they were doing maneuvers with some kind of tracers,” Darby said. Monica Diaz was driving on the Northwest Loop near the high school in Stephenville around 8:15 p.m. on Thursday when she saw the lights. “It looked like a row of stadium lights,” Diaz said. The four lights would turn on and off individually, but they would move as a group. The show only lasted about 30 seconds. She pulled over and watched the sky but she never saw or heard anything else. Diaz said the lights were white and round and didn’t resemble anything close to an airplane. D’Ann Wheeler is a Hico resident and a skeptic. “I never had a personal experience until last night (Thursday),” Wheeler said. She and a friend, who confirmed Wheeler’s story but did not want to be identified, were stargazing around 9 p.m. when they noticed a lot of activity in the sky. “There were jets all around them (the lights) but you couldn’t hear the jets,” Wheeler said. “I know they were big and far apart, but I couldn’t tell how big or far apart,” she said. Wheeler said the sight unnerved her the rest of the night and she had a hard time sleeping. She even went back out around midnight to check the sky, but she didn’t see anything. Ashley Ainsworth was driving on Highway 377 near Tractor Supply Company around 8:30 Thursday night when she and several other cars pulled over to watch the lights dancing through the sky. She counted six yellow lights on the horizon that moved in a circular motion. They disappeared completely but started blinking on and off. “I’m not into that alien thing, but it’s kind of weird,” Ainsworth said. She reported her sighting to Mutual UFO Network (MUFON). “I saw four, five, six jets, then bam, hit my head,” Matthew said. Steve Hudgeons, MUFON Chief Investigator in Texas, said he received reports of three sightings near Stephenville on Thursday. At press time, he had not yet interviewed the witnesses. At least one witness came forward to say she saw lights in the Stephenville skies on Tuesday night. Sechrist said the lights would flash and move up and down and side to side. She could hear jets buzzing around the lights, but doesn’t think the jets produced the lights. 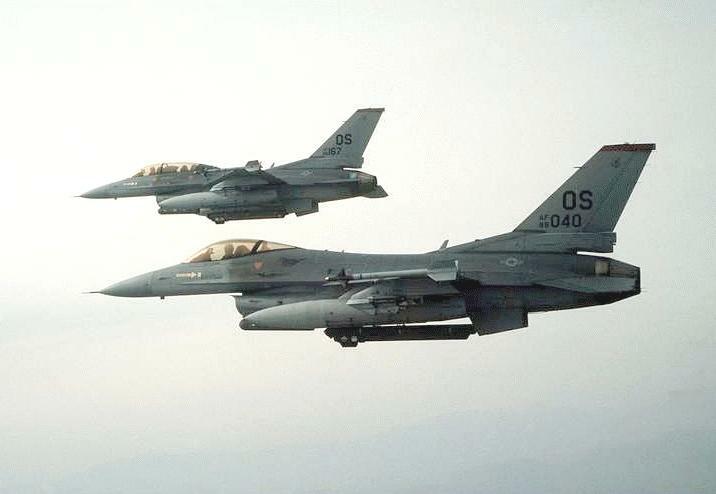 “Seven F-16s from the 457th fighter squadron flew from Naval Air Station Joint Reserve Base Fort Worth to the Brownwood Military Operation Area (MOA) for normal training operations, Thursday, 23 October 2008, from approximately 7:30 p.m. to 9 p.m. local time,” Lewis stated in an e-mail. Similar sightings made national headlines 10 months ago after reporting unidentified flying objects in the southeastern county skies ” (extract from article). ” AUSTIN, TX — Two men believe they saw a UFO flying over Austin in October. They said they have the videotape to prove it. Carl Lancaster and Doug McCullough were both outside their apartments on Oct. 8 around 9 p.m. when they both saw three bright lights. Lancaster said he saw a red light and two white lights that flew in a zigzag pattern across the sky ” (extract from article). WFAA.com has (28th october,2008 ) ” UFO group probes light mystery in Erath, Comanche ” (also with video). ” An investigator with the Mutual UFO Network has traveled to Erath County to talk to dozens of people who all reported seeing unusual lights in the sky last week” (extract from article). ” Most of the descriptions are of an oval shape with lights around the outside, said Alejandro Rojas with the Mutual UFO Network, a nationwide organization created in 1969 to scientifically study UFO sightings. A MUFON investigator is interviewing witnesses, and the group has already sent requests for radar data from the F-16s ” (extract from article). Also (thanks to Aliencasebook.blogspot.com ) this took place on october 29th, 6.30pm near airport. 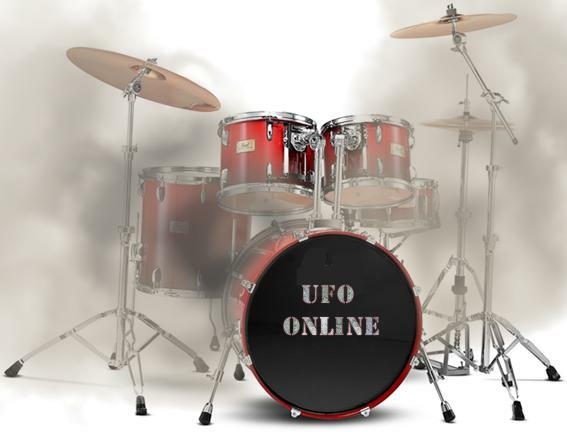 Welcome to UFO Update ( 43 )…..
All sorts of strange and odd UFO stories, have been circulating the internet and beyond… I have been neglecting the rest of the world (as the UK seems intent on pinging out all sorts of sightings ‘out there’), as far as ufo reports go recently, so i am trying to address this now. Lawrie Fuchs, 70, and his wife Gwen, 69, were returning to their home town of Elliott following a trip to Queensland last Friday when they say the UFO swooped them as they drove along the Barkly Highway (posted 2nd june ) extract from article. newsnet5.com (posted may 27th 2008 ) “Pilot on way to cleveland reports UFO” (including video; FAA believes it could be a model rocket). The FBI is investigating an unidentified object seen near a Cleveland-bound Continental Airlines plane just after it departed from Houston (extract from article). The telegraph has (posted 2nd june 2008 ) “Cosmos may be teeming with alien worlds” Estimates of the number of alien planet in the universe have soared once again with the discovery of the smallest world orbiting another star (extract from article). The Pitch (Kansas city) blog “KC skywatchers keep track of UFOs” (posted 5th june 2008) For years, locals have been reporting paranormal sightings to the database at the Mutual UFO Network. 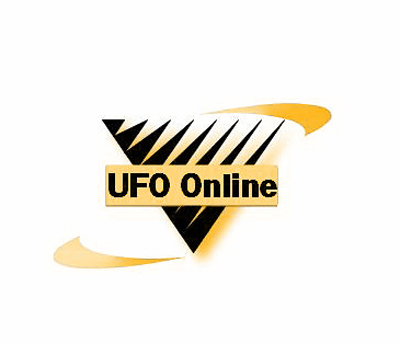 MUFON’s Web site lets viewers look up reports by county. Here are some highlights from Missouri and Kansas: (extract from article). Popular mechanics.com “New alien video shines (photoshopped) light on UFO hoaxers” (posted june 3rd, 2008 ). “In what amounts to a bizarre new kind of viral marketing, the footage screened on Friday—to be included in an upcoming documentary about Romanek’s experiences—is also part of a ballot initiative to create a commission that would formalize contact with aliens. The man heading that effort, 54-year-old Jeff Peckman, has a curious political track record running parallel to his extraterrestrial PR” (extract from article). Foxreno.com (posted 9th june, 2008 ) “Satellites or UFOs over San Jose? ” (with video). Metro.co.uk (posted june 10th, 2008 ) “Fighter jet hits UFO“. “A UFO had a mid-air collision with a fighter jet over central Europe, a leaked report has revealed. Defence chiefs are investigating claims that the Romanian MIG 21 fighter plane was struck by ‘strange objects’ ” (extract from article). Reporternews.com (posted 14th june, 2008 ) “Stephenville UFO report out“. “The world waited for Mutual UFO Network’s (MUFON) official report on the Stephenville unidentified flying objects.And waited. And waited”….[. ]…”The report says many of the sightings have been identified, including one video presented by an unknown witness that resembled a black snake “being blown across the sky.” MUFON identified this object as a “military sleeve.” Where’s the data? Meanwhile, it’s mostly recognized that UFO sightings are eventually identified. James Fox, UFO filmmaker, believes as many as 95 percent are identified and he has been known to say it’s the other 5 percent we should be worried about. What the report does not say is which cases were not identified or give any exact numbers” (extracts from article). ESO.org (posted 16th june, 2008 ) “A trio of super earths“. “Using the HARPS instrument at the ESO La Silla Observatory, they have found a triple system of super-Earths around the star HD 40307. Moreover, looking at their entire sample studied with HARPS, the astronomers count a total of 45 candidate planets with a mass below 30 Earth masses and an orbital period shorter than 50 days. This implies that one solar-like star out of three harbours such planets” (extract from article). 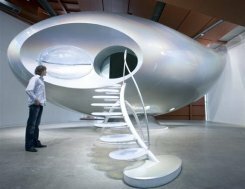 Breitbart.com (posted 17th june, 2008 ) “Chinese company develops UFO: report“. “A Chinese company has developed a prototype flying saucer that can hover in the air and be controlled remotely from afar, state press said Tuesday. The aircraft is 1.2 metres (four feet) in diameter and is able to take off and land vertically and hover at an altitude of up to 1,000 metres (yards), Xinhua news agency said” (extract from article). TBO.com (posted 20th june, 2008) “South Pasadena couple capture UFO fireballs on video“. “At about 11:15 p.m. Wednesday, Charles Marcum and his girlfriend were on the balcony of their condominium in Pasadena when they saw a round, fiery object traveling slowly across the sky” (extract from article). ESA Space Science (posted 27th june, 2008 ) “Cluster listens to the sounds of Earth“. “The first thing an alien race is likely to hear from Earth is chirps and whistles, a bit like R2-D2, the robot from Star Wars. In reality, they are the sounds that accompany the aurora. Now ESA’s Cluster mission is showing scientists how to understand this emission and, in the future, search for alien worlds by listening for their sounds” (extract from article). “The Portuguese Society of UFOlogy (SPO) is organising the first International Meeting on July 5th in Lisbon, gathering several experts associated with UFO’s such as establishing contact with aliens, space exploration and indications of other life in the Universe” (extract from article). Welcome to part 2 of Stephenville UFO sighting 2008…. More serious debate, has been carrying on, after the UFO sighting of january 8th). 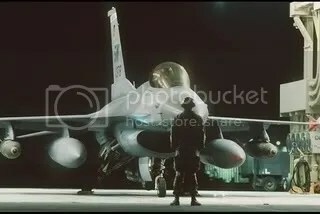 “In all my years of doing research, I thought the Air Force had shot themselves in the foot several times, particularly with the 1997 “crash test dummies” excuse for Roswell, but I really believe they have outdone themselves with the Stephenville Texas sighting, by not accounting for ten F-16s for two weeks. 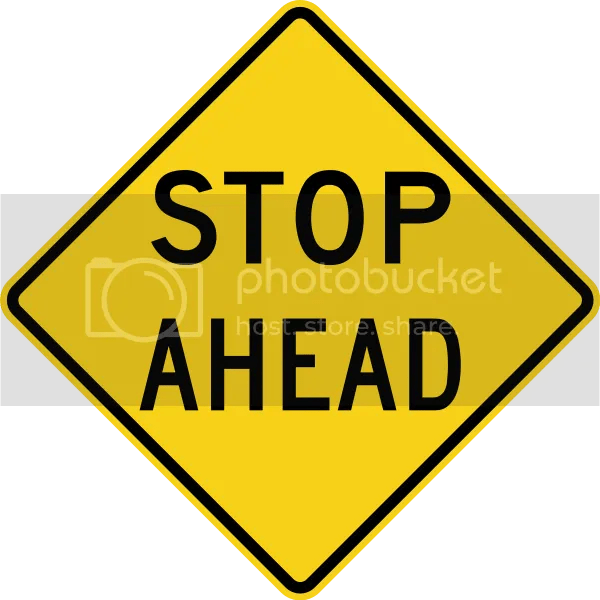 How much longer will the American public have to put up with the excuses we are being given, when all we want to know is what is actually being seen by credible people who help to pay the salaries of these individuals in authority, that continue to give us lame excuses. It’s time for accountability” (extract from article). Challenging misimformation” (an old article, but relevant to what is going on). Next, we have “Stephenville UFO: was the air force protecting the Presidential ranch” (posted 25th january,2008; frankwarren.com). map below. 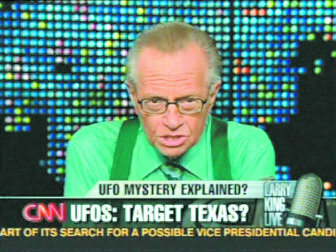 Also at ufodigest.com is “Deeper views of Texas UFO sightings explored” (posted 25th january). “Some time back, I wrote that there cannot be a massive government conspiracy to keep a lid on knowledge of UFOs because our government cannot keep a secret. I’ll admit to having changed my mind. While the bulk of the supposed sightings across the globe are probably either false alarms or hoaxes, too many of them have the ring of believability to be false. Too many people with nothing to gain by fabricating a UFO story have reported sightings in good faith. Far too many of these stories describe one or more of the same types of objects – either cigar-shaped or spherical, and either glowing from within or illuminated by banks of colorful lights” (extract from article). I thought it would be good, to correlate all the information, that has been collected on this sighting, and pull it all together, and try and see what we have? If there is anything i have missed, please alert me to this, and i’ll ammend the records. (please also see my other posts on this site for more added details). The main sighting that sparked media interest= January 8th 2008; between 6.15pm + 4.30am (9th january). However, it seems to have also happened over several days, up to the 10th january, i believe. 40 + in Stephenville area (including piolt/business owners/county constable). Later, as events unfold, it seems the UFO was also seen in San Antonio, Victoria + Corpus Christi (also on the 8th january). At San Antonio – cigar shaped ufo with a multitude of lights present (information from MUFON). very bright lights (lights similar to strobe lights), low and fast moving, no noise. ” lights spanned about a mile long, half a mile wide….lights went from corner to corner” and that it’s speed was approx 3000 mph. red glowing lights then white flashing lights…. dancing around appeared, reappeared. spread out in the sky, formed formation, then took off at high speed; it appeared attached. Some suggest that ufo was chased by jets (possibly F-16s). One witness saw very bright yellow lights. Military: No airplanes in the air that night: said ufo was an illusion caused by 2 commercial airplanes. MUFON get involved; seems like Chicago/O’Hare airport + Pheonix lights – authorities are covering up something? what is it, is the question? 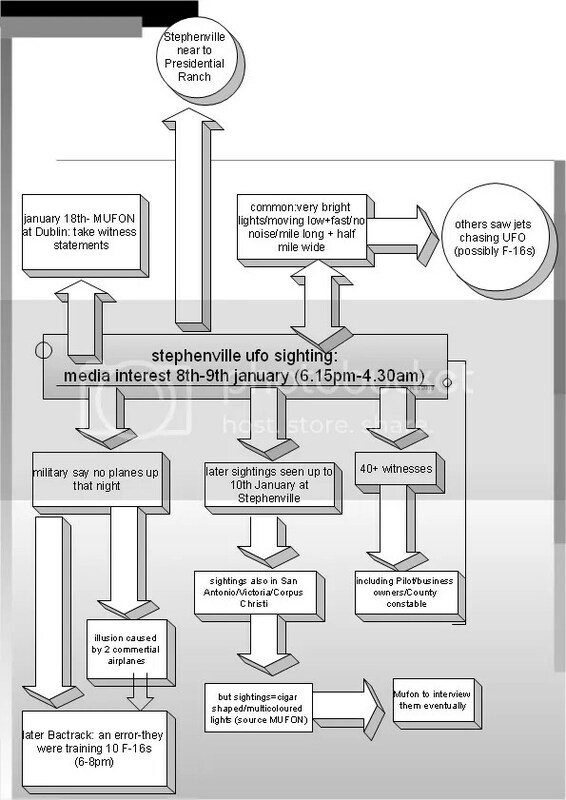 January 18th – MUFON investigators arrive at Dublin to take witness statements/accounts (in detail). Alot of media there to cover the event. Pilot statement made to media – (Fort worth medical helicopter pilot) suggested it was flares (seems like pre-meditated disinformation to me). I also made checks on NASA (recent debris) database site – no man made space debris, re-entering on that date/or near that date. Larry King show – several programmes to this event shown. Cell phone photo – (seems to be a dog star and unrelated). Then most significantly, 2 weeks after event, military changes its story; It says it had 10 F-16s from the 457th fighter squad training between 6 and 8pm, in Brownwoods military operating area (which it says includes Erath County). 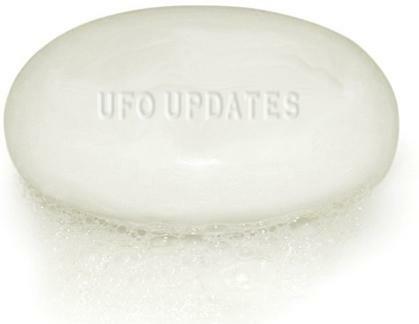 Witnesses + MUFON says this enhances their story…as some say ufo chased by fighter planes. 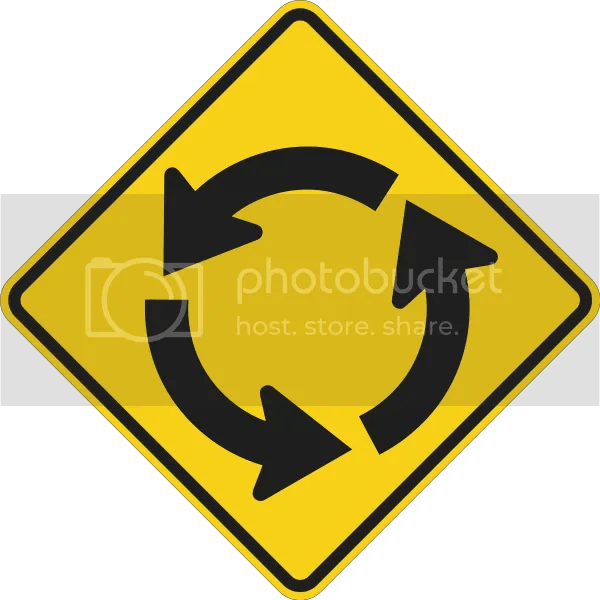 Many say this U- turn is a cover up? MUFON to travel to San Antonio area to gather more eye witness accounts. Recently it has come to light that, the Air Force could have been protecting the Presidential Ranch- edge of restricted zone (clas D air space), 16 miles SE of Stephenville. I do not understand why the local press did not pick up on this earlier? this is significant information…. i for one did not realise it was this close to Stephenville. Whatever happened at Stephenville, the government are not telling us what the hell is going on? i’m afraid. Unless, of course they take us for being stupid. For instance, i did a little research on F-16 combat formations…. admittedly the most useful i found was from 1996, but it gave some interesting facts. It mentioned that “the basic combat formation employed by tactical fighters is the four-ship flight. The two-ship element is the basic flight unit….. [.] there is a need for both line abreast and wedge formations” (p22). Goes into great detail, with diagrams of the different formations used. Also it says that “Adding additional four-ships to increase to 8-12 jets has been combat tested with some controversial success”. See here for source. Therefore a combination of 2 and 4 jets …. Did the fighter jets come from further afield? Also Lockhead Martin Aeronautics Company HQ (home of F-16 fighter Falcon + joint strike fighter). & miles west of Fort Worth, Texas. Brownwood Military Operations Area (training area for fighters). There are many question and so little answers for now? This sighting along with the O’Hare airport incident, and the Pheonix lights has got some asking “are these sightings related in any way?” Also they seem to follow a similar pattern as far as the government/military are concerned. Cover stories tried, then hoaxing/disinformation is made to try to calm the incident down at a slightly later date ( to be honest this is so easy, it’s annoying, lol)…. it works? Also, there are similar accounts of the ufo sighting, but there are also conflicting accounts of the ufo sighting. Why? Is the military hiding a black op secret plane being tested? if so, why near public? possibly to test our reaction to it, maybe? 1 Why is a training exercise classified? as they will not go into operational procedures, not even the basics? Possibly because near the presidential ranch? 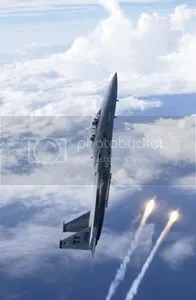 I’m also waiting for the Air Force, to next say that flares where used (does this sound familiar), especially using them in populated areas. Also MUFON has had eye witness accounts, from the same time period, either side of the 8th january, in other areas, all with the similar accounts to Stephenville… were their trained F-16s all over the place? Also, did the training last for longer than january 8th? it would have had too. Will update on any other theories i have…. What do you think? Whilst checking out the you tube sight, saw this informal video, in which people around Stephenville were interviewed about the sighting. WASHINGTON — Put the alien theories on hold and get the men in black a cup of coffee. You know how they like it. 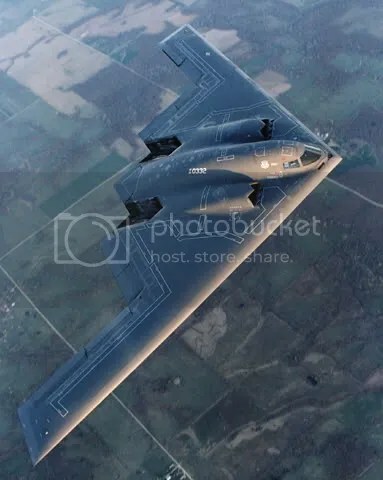 Instead of beings from outer space visiting Big Country skies, the Air Force could be secretly working out the kinks in the next U-2 spy plane or B-2 stealth bomber in the skies over the Big Country. U.S. military pilots might have been at the helm of Unidentified Flying Objects decked out with secret technology, accounting for reports from Erath, Brown and Comanche counties the past two months. After all, the military possesses experimental technologies the public might not know about until decades after development. “For national security reasons, of course, they’re disinclined to tell us about it,” Michael Shermer, executive director of the Skeptics Society and editor of Skeptic magazine, said. Besides Shermer, an author of more than 20 books on secret and stealth technology, a think-tank expert and a former “Skunk Works” chief weighed in. 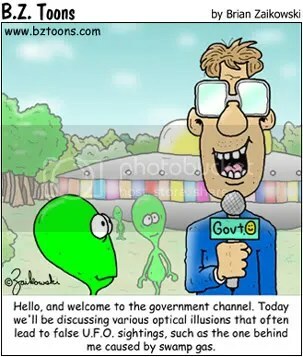 Among the possibilities: The government is conducting a campaign of disinformation, spreading UFO stories to cover up the truth, which is out there. Or eyewitnesses surprised by fast-moving spheres and a gigantic “mother ship” simply saw jets from a nearby military base. That includes the UFO sighting Jan. 8 around Stephenville, Texas, the day the Air Force said it had jets on a training mission in the area. Either way, Dyess Air Force Base in Abilene, Texas, isn’t involved in black — classified — aircraft programs. John Pike, a defense and intelligence expert, said he believes the government has thrown up a smokescreen before, like with Area 51 in Nevada, to discredit witnesses. Area 51 has played a role in modern American mythology about everything from secret military technologies to alien spacecraft. Beliefs vary as to the truth about the southern Nevada location. Back in the 1950s, the Air Force exploited the UFO scenario to divert attention from the U-2 being tested at a secret base in Nevada, said Bill Sweetman, who’s written extensively on stealth and black technology. The U-2 was the only aircraft that could fly at such a high altitude for as long as it could, Sweetman, editor of Defense Technology International magazine, said. “Airline pilots who didn’t know that a secret airplane was out there would see this object way up above them, and they would report it as a UFO,” he said. Those sightings led to “Project Bluebook,” efforts to make people think they’d seen a natural phenomenon or something unexplainable — not a secret airplane, Sweetman said. He didn’t want to hazard a guess about whether West Texans have spotted secret aircraft, but he was doubtful. “Why would you fly it near a populated area at all?” he said. And it’s impossible to speculate whether the Big Country UFOs were a sign of a secret program, said retired Air Force Col. Tom Ehrhardt, a former Pentagon chief of the “Skunk Works” or the Strategy, Concepts and Doctrine Division. “That particular location for it seems improbable because, usually, we have more secure sites to do that sort of thing in than there,” said Ehrhardt, now of the nonprofit Center for Strategic and Budgetary Assessments in Washington. Sites such as Area 51, he said. “But you never want to say this isn’t one of those because I don’t have that knowledge,” Ehrhardt said. Theories to the contrary, the UFO story hasn’t gone away yet. “Our initial analysis is that we have at least two very promising pieces of evidence,” Ken Cherry, state director for the nonprofit Mutual UFO Network, said. Video and still images show spheres in incredible maneuvers at high speed in the Big Country, Cherry said. Others have told MUFON of “a mother ship” a mile long and a half mile wide. Eyewitnesses are ranchers, farmers, oilfield workers, shop owners, defense workers and others who talk of activity as far back as 30 years ago in the area, he said. But could fast-moving spheres simply be the afterburners of 10 F-16s? In an about face, the military said 10 F-16s from the 301st Fighter Wing at Naval Air Station Fort Worth Joint Reserve Base were on a training mission Jan. 8 in an area including Erath County. Maj. Karl Lewis, a fighter wing spokesman, said it was just a mistake when he first told reporters the base had no planes in the sky that day. “I did my best to correct it as soon as possible,” Lewis said. But the story has wings. Washington regional correspondent Trish Choate (source can be seen here ). Thanks must go to Steve for suggesting i put this in a seperate post (i agree and thank you for finding the time to suggest this to me). I like this article, because it asks several interesting questions? I draw you to “Byron Mitchell, a teacher from a local school in this small farming population and a partner in that volunteer MUFON air managed to interview several witnesses of this latest sighting. According to Mitchell, 8 10 1500 m. Length and width of approximately 700, was an ovoid shape and had a set of lights that constantly changing intensity as it approached the 4 military planes to chase. Byron Mitchell continued describing in his report: There were more than 200 witnesses who saw the object flying at low altitude, describing it as solid-metal, without marks or cracks, in one piece, apparently did not generate any sound, but others claim that they heard a slight buzz, was probably silenced by the noise of aircraft to chase” (translated extract to article) ….. It gives us some possibly new information, but am unsure as to the reliability of the source. (as of april 2008…unfortunately these videos are now unavailable….i will endeavor to find them again, but cannot guarantee that i will…. sorry). so on to next post. At this stage, i thought that i should add a flowchart (reminder=will need to update this; however not sure what format to take, as the information is now large). For those who would like the Stephenville UFO sighting as a flowchart, i have finally done one (not brilliant, and will probably update it); but it gives you bite sized information on the sighting). To see the full flowchart, please click on it (opens in another window), and a slightly bigger flowchart will be shown (as a bit is missing to the right). However, what was not known to me until recently, was that around 10-15 miles from the Stephenville UFO sightings, is a secret government military installation, not to far off state highway 144. The installation is on the east side of Highway 144 between Walnut Springs, TX and Meridian, TX. The whole complex is around 3,000 acres in size…. on one of the airstrips, there is nearby a tubular structure, which seems to go underground-possibly testing stealth wing designs there? A few miles south of Walnut Springs, behind significant hills on the west side of the site, and dense foliage on the east side, lies what appears to be an abandoned airport. Terrain and foliage, plus relative distance from highway TX-144 on the west side, and highway TX-927 on the east side, prevent unrestricted viewing of the location. The facility is not marked as abandoned (magenta circle with an “x” centered on the circle) on any VFR sectional, or, any other aerial navigation map, unlike other abandoned or closed airports across the world, and by ICAO convention (International Civil Aviation Organization). However, online photography does show both “runways” on site (there is a large, main runway of about 6,000 feet in length, and a smaller, slightly fan-shaped surface of about 1,500 feet in length), marked with what appears to be FAA-standard yellow “x” markings, indicating the surfaces are abandoned runways, but are unusable, unsafe, or both. The physical location is inside a rough triangle that is composed of the cities of Walnut Springs, Morgan, and Meridian. The latitude and longitude is N 32.02536, W -97.67854, respectively. The mystery airport is not the Diamond Seven Ranch private airstrip, located north-northwest of Morgan. The site is easily found on all free mapping web sites. Microsoft TerraServer USA and Google Maps have the best photography of the location yet found. All roads leading to the location are closed with green-painted US Government gates, and “No Trespassing” signs abound. The described signage is true for the entrance from TX-927, and TX-144. Overnight research and correspondence has provided a potential explanation for this location’s “mystery” airport. Apparently, the site is a either a former, or still active, testing location for cross-section reflectivity of different types of ground- and aircraft-based radar. The relative proximity of the Ft. Worth, Texas, military/industrial manufacturing base may have a bearing on the facility. The facility is not a runway for aircraft, in the conventional sense. Several similar locations can be found in California and Florida (extract from article). There are rumours that it is an underground base; that there may be a possible link with the Montauk project. SO could this secret government installation have something to do with what happened in the Stephenville ufo sighting… was it part of the incident, was it the incident itself, were they/are they hidding stuff at this location? It seems there is more to this than meets the eye…..